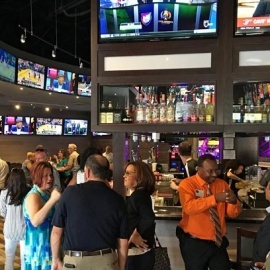 We have recently transformed GameTime Miami with a $1 Million GameTime Miami is a 36,000 sqft Entertainment Center located in the Shops at Sunset Place. 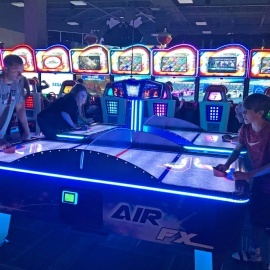 We offer fun indoor Amusements with a full service dining experience in a beautiful Restaurant, full liquor Sports Bar and Mega Arcade with more than 165 games, simulators and prize machines. 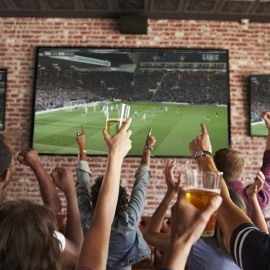 With both indoor/outdoor seating and over 65 HDTV's, GameTime is the perfect spot to the game. 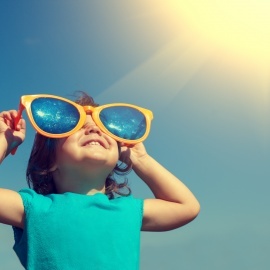 Let us host and cater your next celebration - Birthday Parties for all ages and Group Events are our specialty! 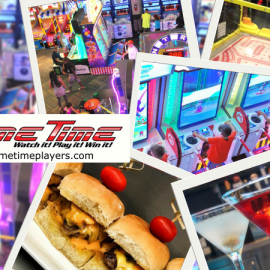 GameTime is an Entertainment Center with many locations throughout Florida that offer indoor amusements and a full service experience that the whole family. 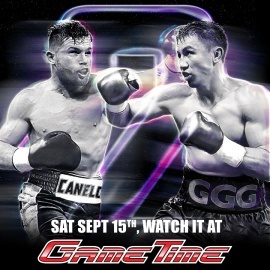 Watch Canelo vs GGG 2 at GameTime this Saturday, September 15th! New Meets Old at GameTime! New Menu Keeps Things Sizzling at GameTime Miami! 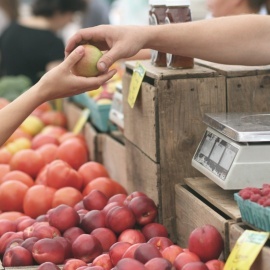 Treat Mom at GameTime for Mother's Day and She'll Eat Free! This place is amazing! I was in town visiting some friends and went to GameTime to watch a UFC fight. I ended up having to go again to play the games. 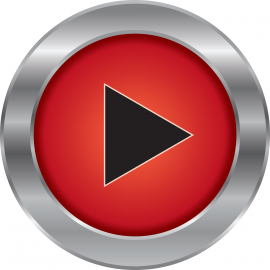 GameTime is a Great Time! 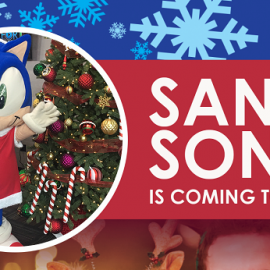 Pros: So many cool games. Great bar and plenty of screens for the fights. 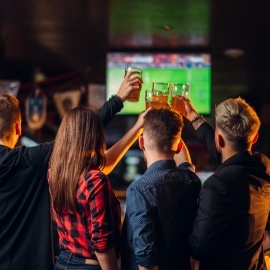 Games are great for kids and kids at heart, and the bar and UFC fights are perfect for the adults in the room. Watch UFC at GameTime Miami Florida Sunset Place. 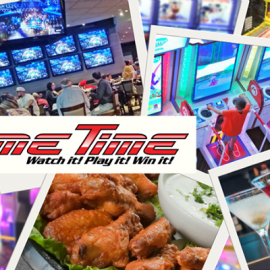 GameTime Miami, Mega Arcade, restaurant, Sports Bar, Birthday Party Venue ... Miami, FL 33143. 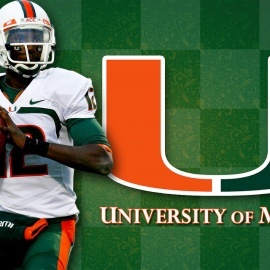 Book now at GameTime - Miami in Miami, FL. Explore menu, see photos and read 13 reviews: "Me and my family really enjoyed ourselves on October 21.